The engineers at In Home TV & Electronic Service 24/7 love working with their hands on all types of electronics. In order to bring you the very best in repair service, our engineers continue to stay up-to-date on the latest research, combining their new knowledge with years of focused study in order to perform the work that they do. Meeting new people is also a huge motivator in our business. Every customer has a new story to tell, and we have a lot of electronic repair experience to share. Call 24 hours a day, 7 days a week for professional repairs. We help you reduce your spending costs by repairing and recycling your old TV and electronics. For quoting purposes, when you contact us please provide the model number of your TV or other electronic device. Call or text 613-513-5494 to schedule an appointment with the model number. If you have any general questions about our repair work or would like to leave feedback, please do not hesitate to contact us. Simply fill out the form below. We will reply to your email shortly. Thank you for your patience. 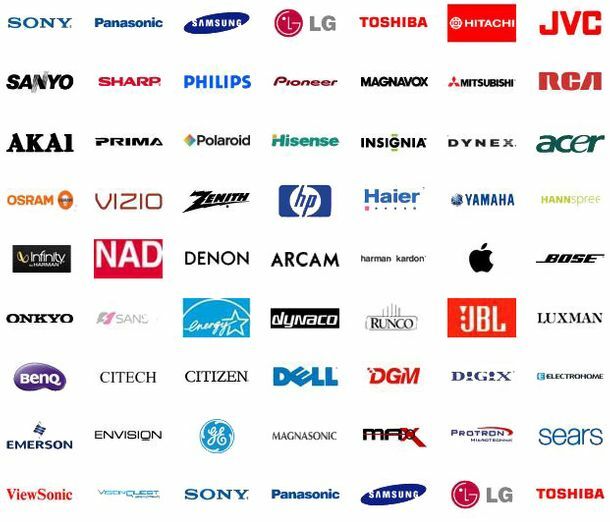 We can fix any kind of television model, including the ones not listed here. Please call or text us at 613-513-5494 or email us at repairbigtv@yahoo.ca with the model number. 180 Day Warranty for All Work Performed! Do you need repairs for you home electronics? Are you hoping to save that broken TV rather than throwing away money on a new one? Then hire In Home TV & Electronic Service 24/7. We provide a 180 day guarantee to all our customers. Please complete the form on this page with your name, phone number, email address, and information on the electronic and the problem you are facing. Please remember to send the model number of your electronic device that needs fixing for a more accurate quote.